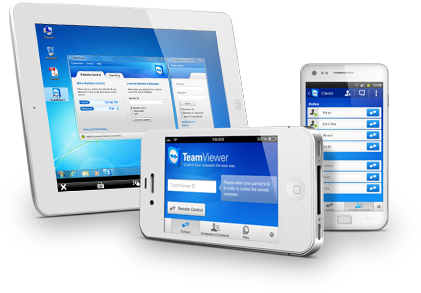 TeamViewer is an Application which allows user to access Computer Remotely, They have also provided an Application for Android Phone hence you can easily get access to your remote PC using Android Mobile. For this you require Internet Connection for both PC as well as mobile, For Mobile i preferred to use Wi-Fi connection because it uses more bandwidth hence you may loose your data Usage rapidly. STEP1:- Download TeamViewer for your PC and Install it. 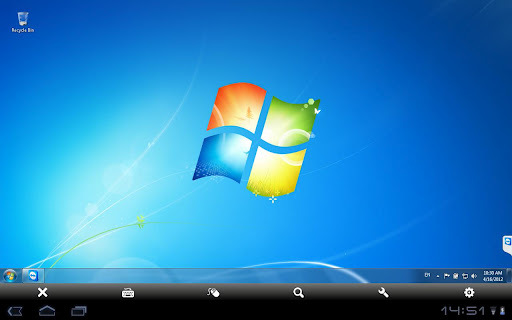 STEP2:- Install TeamViewer on your Android Phone . STEP3:- Open TeamViewer on PC and it will provide you ID and Password. STEP4:- Open Android TeamViewer App and it will ask you for your ID, Enter same ID which is given in Step3 and Click on Remote Control. Now it will ask you for Password enter the same password from the above. STEP5:- Once you Provide the correct ID and Password your Connection would be establish, and you will get one small pop-up on your desktop. STEP6:- Now You will be able to remotely control your computer from Android Device. Note :- If your Internet Speed is very Low then remove the wallpaper and enable UDP connection.